31st May, 2016 indeed proved to be the hotspot for kids with the launching of Kidzania at Entertainment City, Noida. If Delhi NCR had already been famous for the glitz and shine of amusement parks and water parks alone, Kidzania gave the kids of the city one more reason to celebrate. 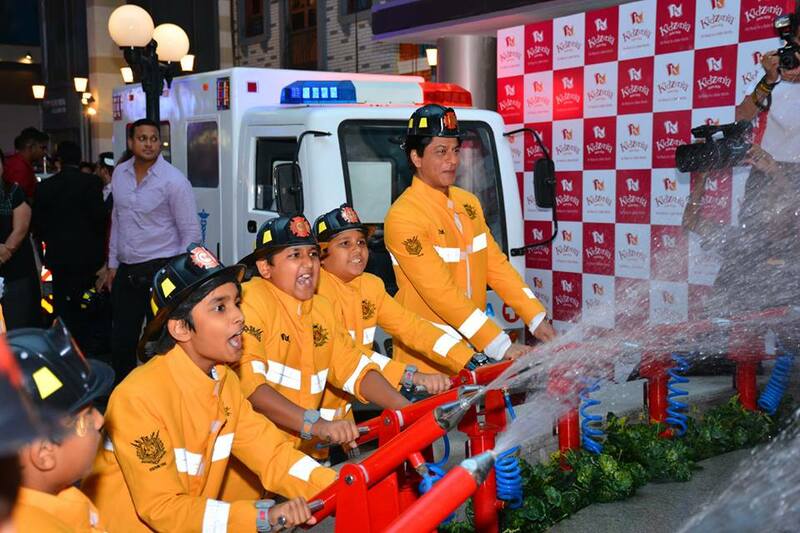 Kidzania witnessed its inauguration through the hands of its co-founder, the King Khan, Mr. Shahrukh Khan. On 31st January, Shahrukh had already declared that the park is going to receive its inauguration in the month of May and the actor stuck to his words when Kidzania witnessed the grand launch on 31st May. The show had been the hub of excitement both for children and adults. While children were excited to witness the great event, the adults were gearing up to meet their dream man, the Superstar, Shahrukh Khan. Delhi had joined into the revelry moods as Shahrukh walked into the event. Like always his charm was enthralling and the actor expressed his sheer excitement at this launch. 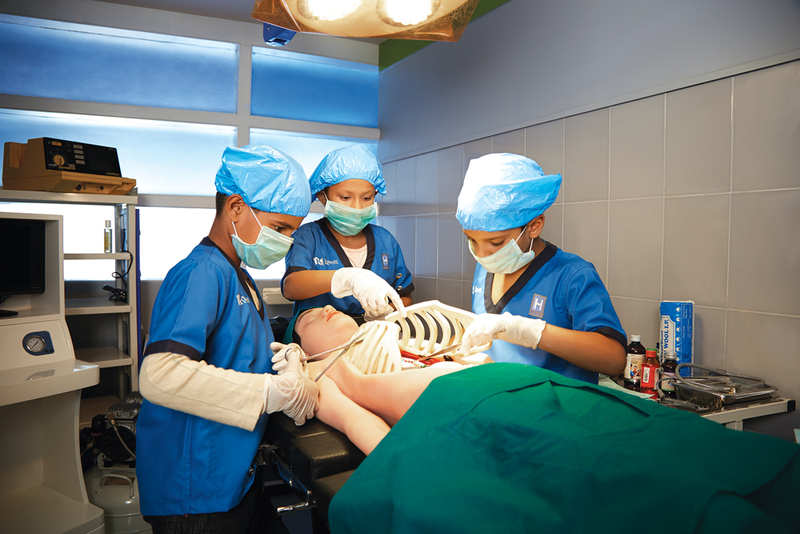 Kidzania had seen a great success when it was first introduced in the financial capital: Mumbai. In fact, a role-play show was organized by the children and Shahrukh encouraged each of them for their marvellous performances. 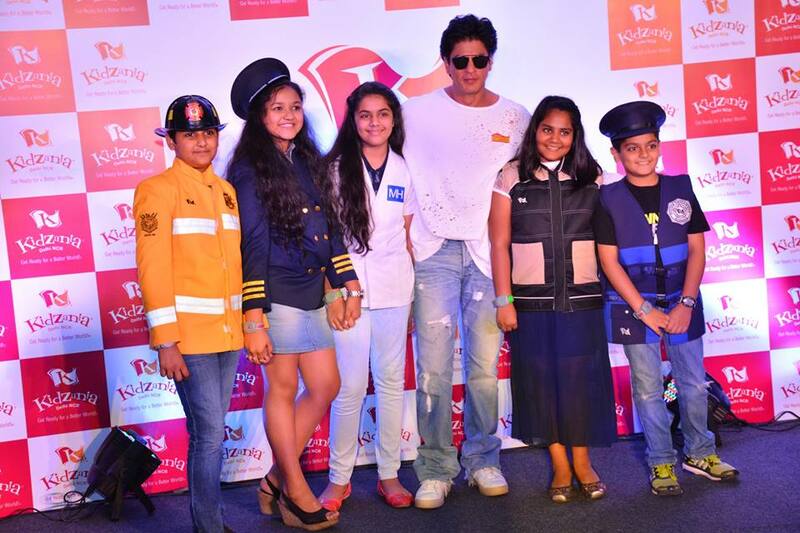 The show earned momentum when King Khan communicated his elated spirits to the crowd and described the journey of Kidzania. Influenced by the Kidzania model, the actor had decided to welcome the concept for the Indian kids. Mumbai had already experienced the peak of success that sparked off Shahrukh’s idea to bring it on to the capital City. Why should Mumbai have all the fun? Right, Shahrukh? The event was beautiful set in the Theatre space of Kidzania and the crowd indeed experienced a great time. Shahrukh also enhanced the festive moods when he engaged himself into a conversation. In fact King Khan patiently answered every question that was hurled at him by the crowd. 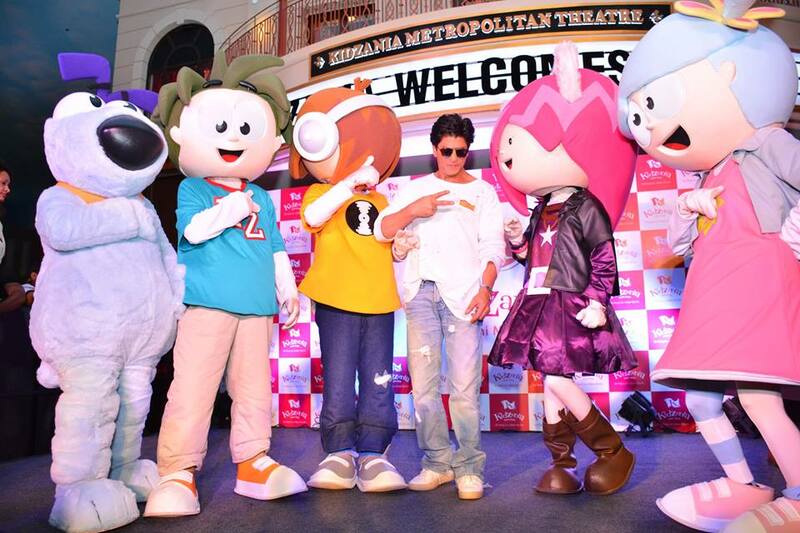 When ChicLifeByte asked Shahrukh about what exactly Kidzania has in store for toddlers and infants, the Superstar explained that Kidzania is indeed a one stop destination for all ages. The show ended on a joyful note and Shahrukh made his departure after a very cordial goodbye to the crowd. 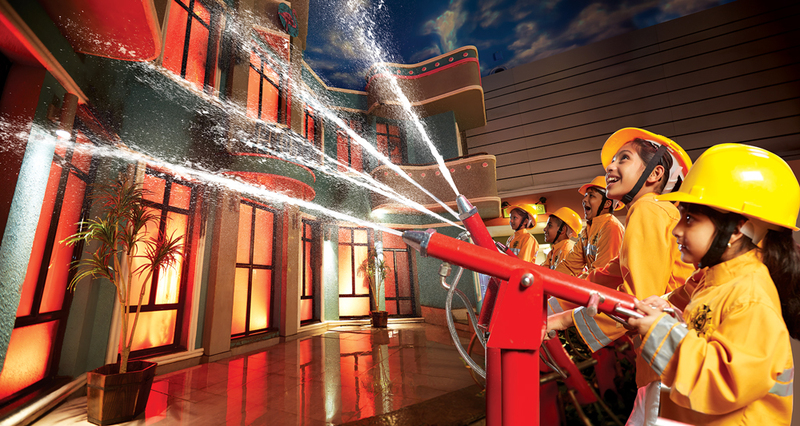 Kidzania has every room for entertaining all the kids. It’s a virtual world where kids can experience every bit of the adult life like a doctor’s profession, an airport ambiance as well as a fire station. What more? Kidzania also has the food stations in between to satiate your child’s junk appetites when they are all drained out of energy. 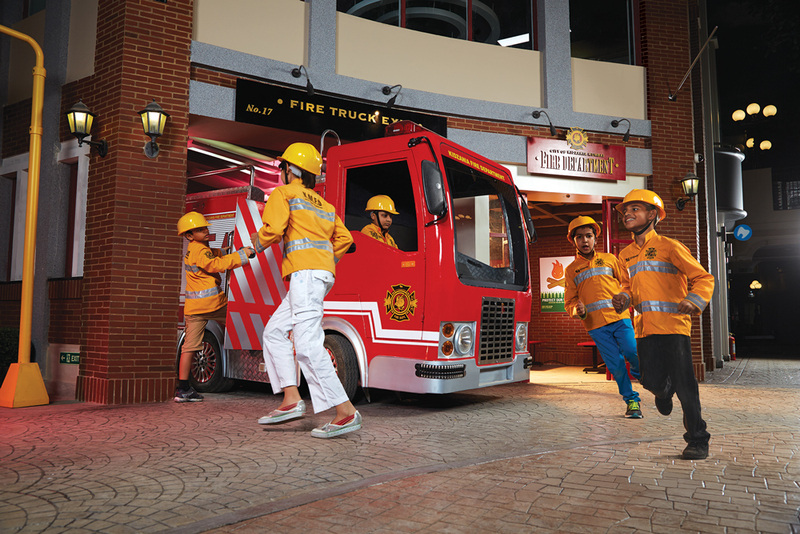 In other words, Kidzania is no wonder a fun stop for all children and the great show was a perfect prelude to set on those entertainment spirits. Kudos for such a great show and best wishes to the Kidzania Team for a new beginning from ChicLifeByte.